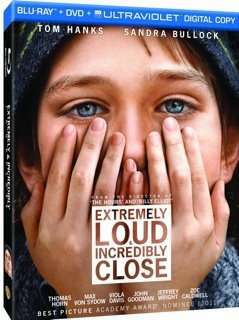 I’ve had friends who have either loved or detested Extremely Loud & Incredibly Close (I dug it, fyi), and if you were too busy to catch it in theaters, the picture comes out on Blu-ray, DVD and Digital Download on March 27th from Warner Home Entertainment. Based on Jonathan Safran Foer’s 2005 novel, the story centers on Oskar Schell (Thomas Horn), an 11-year-old youth who scours New York City to find the lock which fits a key left by his late father (Tom Hanks), who perished in the World Trade Center attacks. Max Von Sydow received an Oscar nomination as The Renter, a reticent elderly man who helps Oskar on his quest.